With a New Build Scheme the drawings and specifications are in two parts, the Planning Application and the Building Regulations (Building Control) Application. Our fee is all inclusive but the application fees are additional. 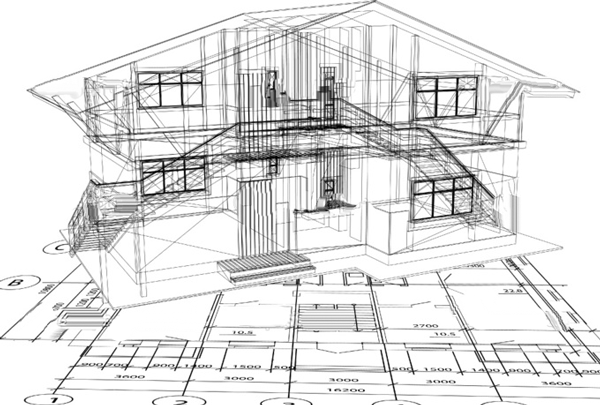 We will carry out all the relevant application paperwork for Planning Permission on your behalf. Both Planning and Disabled Access Statements have to be prepared and submitted with the Planning Application. Occasionally the local planning authority may ask for additional information. Examples include, and are not limited to, flood risk assessments, protected species assessments, bio-diversity statements etc. If the council does require any of this information we will of course administer the process but a separate fee will be required to the relevant specialist consultant(s). This also applies to obtaining a topographical, trees, drains and services survey for Planning Permission. We will advise you of the costs in writing.